Perc Tucker Regional Gallery is Townsville's premier regional art gallery, offering a dynamic range of local, national and international exhibitions complemented by workshops, talks and a host of other programs. Perc Tucker Regional Gallery is located on the corner of Denham and Flinders Streets, in the city centre. Educational opportunities which encourage students to develop their skills and understanding of the visual arts. The City of Townsville Art Collection offers compelling views, narratives and ideas of life in the tropics. Portrait Painting Prize is North Queensland’s own portrait competition and is held at Perc Tucker Regional Gallery. 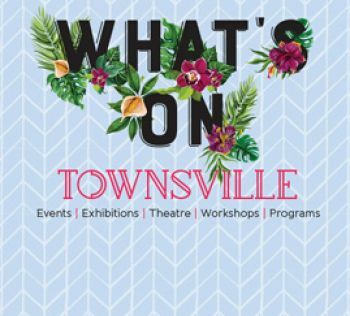 To see what is currently on or coming soon, visit What's On Townsville for upcoming exhibitions at our galleries. You can also follow what's happening at the Gallery by adding Perc Tucker Regional Gallery on Facebook or Instagram. If you are after further information such as our location, opening hours, our building and exhibition history, or how to get involved as an artist, volunteer or member, visit our Venue Information page.